From our windows overlook Ploshad Vosstania and whole Nevsky Prospect street ending with the spire of the Admiralty. 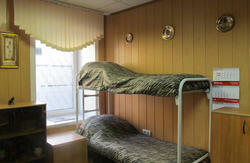 The hostel 'Whose Suitcase' offers single or double rooms only. 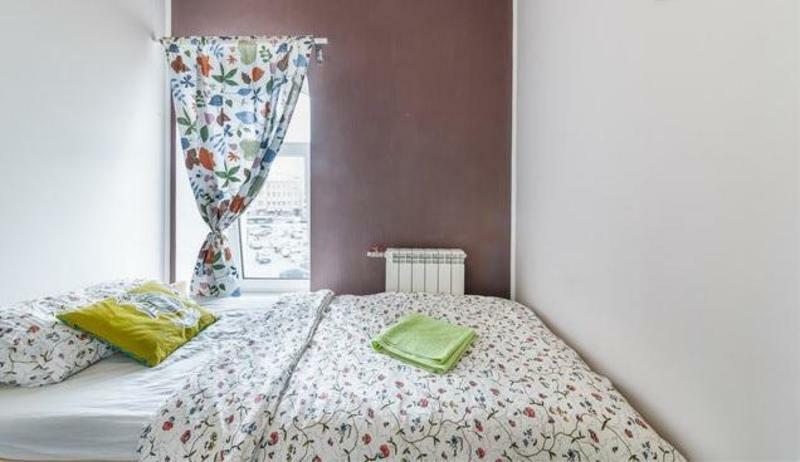 Hostel equipped with the kitchen area which has everything for the comfortable stay: fridge, kettle, microwave, dishes, free tea or coffee, cookies, iron, ironing board, hair dryer, WI-Fi. 24/7 access to the hostel. Same day bookings - please book at least 1 hour before arrival. 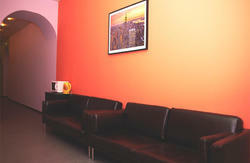 Our hostel is located across the street from the Moskovsky railway station. Yellow old style 4 floors building with huge TV screen on the top (if you are standing on the steps of the railway station main entrance and turn your head to the right, if will immidiately notice us). The entrance is right opposite to the star memorial, brown door between coffee shop and mobile phones shop, with blue Почта России, Solvex and Wester Union signs on it. After the first steps, buzz the bell on the left side, the left entrance door. 4th floor.